The Richard Burton Dairies is just short of a tome; any heavier and I doubt if I could have picked it up with one hand. Covering 44 years from the actor’s school days in Wales to the spring of 1983, the year before his death in August 1984, at the age of 58. The diary is by no means complete; between school years and the post Cleopatra years of 1965 – 72 for instance, there are only entries for the one year: 1960. We do not know if Burton simply didn’t keep a diary during this time or indeed, if the entries were lost: “I cannot find the last volume of my diary which covers about 18 months from last September…It wouldn’t be very nice if it got into the wrong hands. It’s too revealing about other people, but above all about myself. It’s supposed to be for the old age of E and myself.” January 5 1969. Similarly there are other large chunks of time missing, but what remains of his life is deeply fascinating and at times, nothing less than explosive. The irony of having his personal diaries edited by Chris Williams, professor of Welsh history at Swansea University, and former director of the Richard Burton Centre for the Study of Wales, would not have been lost on the actor. Burton was always greatly attracted to the world of academia and spent a brief time teaching poetry to undergraduates at his beloved Oxford University, where he also spent time as a student in his earlier days. A fervent bibliophile, Burton would consume books with the same hungry passion he would food. Words, new languages and crosswords also held an irresistable appeal. 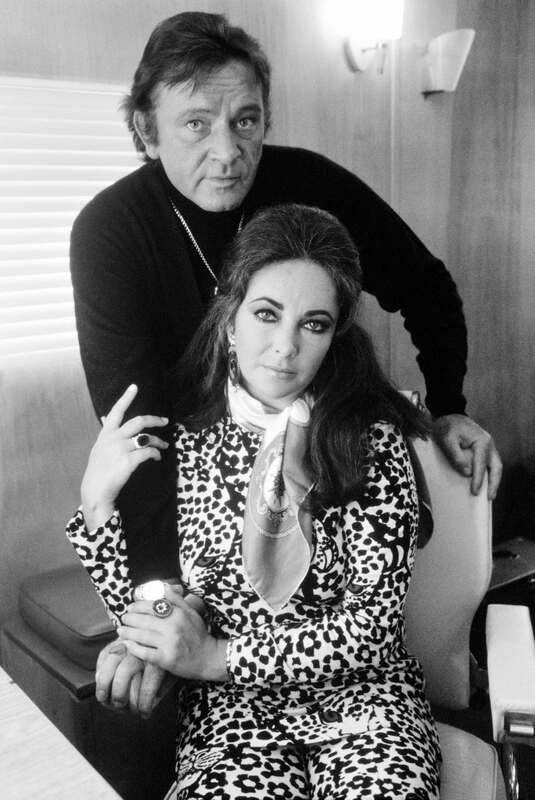 The dairies cover the years of his legendary career, his celebrated marriages to Elizabeth Taylor (from 1965 to the time of their first divorce, the actress makes her own hand-written contributions to the diary) and his/their jet-set celebrity. Thus making this not only a must read for Burton fans, but for Taylor lovers, too. ET comes across as a very warm, loving and funny person and RB’s unwavering affection for her is a constant throughout the book. “I awoke this morning at about 7 o’clock. I stared at Elizabeth for a long time. I held her hand and kissed her very gently. Probably no woman sleeps with such childish beauty as my adorable difficult fractious intolerant wife.” June 15, 1969. For the most part, Burton comes across as a remarkably honest, frank, opinionated, articulate and likeable man, albeit one that’s living in an extraordinary world. Aside from the films, food, fellow actors and exotic travel, much of what he wrote revolves around his wives, his children, family, friends and books he was reading at the time. In fact on almost every page, there’s a book reference: an occasional review of a cheap detective novel, a nod to Waugh or Greene (two of his favourite authors) or passages from Kafka. He is savage when describing people he doesn’t much care for: “A ruthless, selfish, multi-faced ego-mad coward.” (Franco Zeffirelli) and yet at the same time, shows a tremendous generosity of spirit, giving endless handouts to relatives and friends. And my did he have an interesting circle of friends: John Gielgud, Laurence Olivier, John Huston, Edward Albee and Dylan Thomas. In 1975 the entries for five consecutive days are the single word: “Booze.” This melancholic period depicts a man who seems to have lost his way and what is acutely evident, is that without Elizabeth Taylor in his life, his diary entries lack the lustre of previous years. The Richard Burton Diaries by Richard Burton; edited by Chris Williams and published by Yale University Press. Price: £25. Buy a copy here. CELLOPHANELAND* would like to thank Yale University Press for the review copy. Cartier: Style and History, Grand Palais, Paris.